Satellite image of Great Lakes February 2015. NOAA. 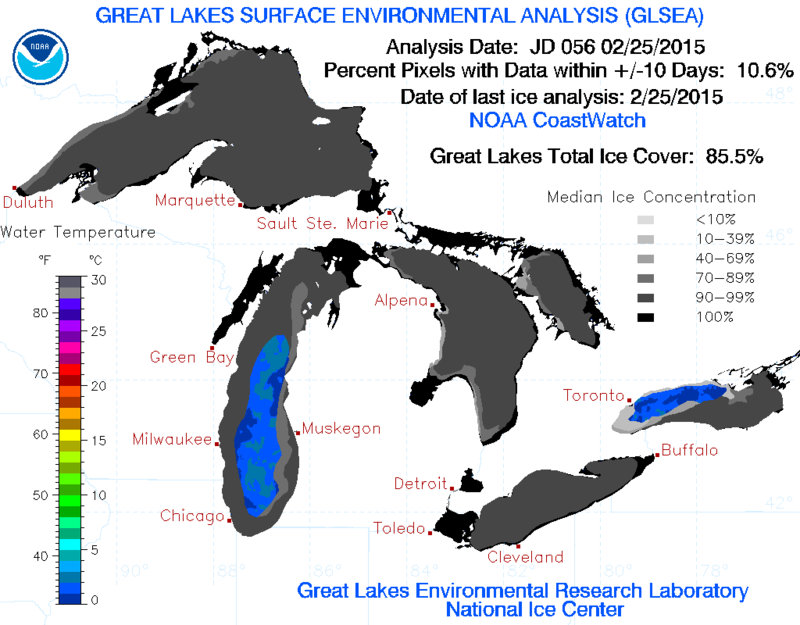 As of February 25, 2015, the Great Lakes are over 85% ice covered and the coverage is growing weekly. Other than the obvious impact to shipping, what does this really mean? 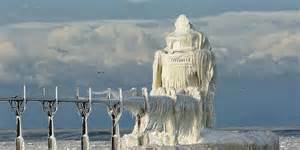 When the Great Lakes experience heavy ice cover as they have in the winters of 2014 and 2015 there are a multitude of impacts. Some are beneficial and some are problematic and some are both. For example, evaporation takes place over open water even in the winter time. 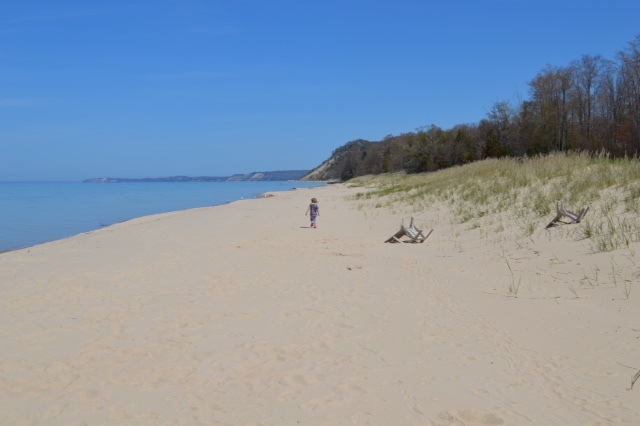 At least partially because evaporation was inhibited in the winter of 2014-15, Lake Michigan water levels last summer increased dramatically over the summer of 2013. Some of the impacts included reduced usable recreational beach areas. On the positive side, the higher water levels mitigated some of the need to dredge channels and harbor entrances especially along the eastern shore of the lake. As of February 25, the water level on Lake Michigan was a whopping 21-inches higher than a year earlier and was 8 inches higher than the long term average. Snow melt and rainfall also are a factor, but the reduced evaporation plays a role. Snowfall amounts are also affected when the lakes freeze. Lake Effect Snow basically shuts down once the lakes freeze over, a welcomed break for motorists in the Great Lakes snow belt areas. Heavy ice cover also tends to influence spring and even summer weather in areas close to the lakes. The temperatures in communities near Lake Michigan were noticeably cooler than inland communities in the spring and summer of 2014, far cooler than the usually welcomed moderating effect of the lake. One benefit of the late spring is to fruit growers. The cooler weather delays the blossoming of fruit trees to the extent that the threat of frost damage from isolated cold snaps is mitigated. And the normal micro-climate of shoreline communities is more pronounced in years when the lakes are ice-covered. Arcadia, MI. Cool summer of 2014. Author. Long lasting ice cover also affects the water temperature of the Great Lakes. Even the normally more moderate lakes remained quite cool for swimming and other warm weather recreation in the summer of 2014. It is worth noting that there was still visible ice on Lake Superior into June of 2014 and some water temperatures in Lake Michigan were still in the upper-30 degree range on Memorial Day weekend!! The reduced water temperatures impact how anglers approach their prey. And the development of algae can also be affected. It is likely that the ice cover of the lakes will continue to expand for at least a few more weeks this year. Previous PostPrevious Weather Wednesday: Just what the heck is going on with this winter?